The culture boxes translate the feeling of living an illegal life. 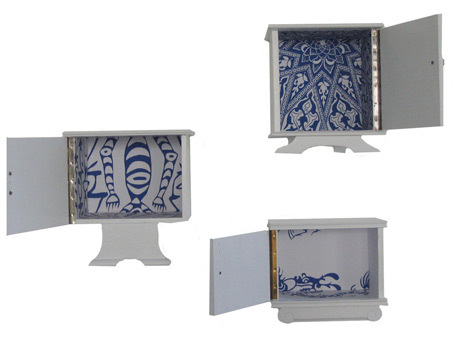 The inside of the boxes are decorated with patterns while the outside is a neutral white. The patterns are developped during a drawing workshop with the refugees.